Q. Are all ingredients used in your products organic? A. No, they are not all organic. One of the reasons is that most often there is no supplier of organic ingredients that have the capacity to consistently provide us with the quality and quantity of ingredients we need. Q. Are any of the Life Force Products tested on animals? A. None of our products are ever tested on animals. Q. Are Life Force products gluten free? A. Yes, the entire Life Force product line is gluten free. Q. Are your products safe to take during pregnancy? A. We recommend that you download the product data sheets which can be found in the product section of our website at www.lifeforce.net and bring them to your healthcare provider to determine whether this or any product should be taken during pregnancy. Q. Can children take Vitali-C Plus? If so, what is the recommended daily intake? A. For children ages 4-12, mix half a packet in 4 fluid ounces of water daily. Children may take a full packet in 4 fluid ounces of water when they need an extra boost. Do not give to children under the age of 4 without first consulting your pediatrician. Q. Can you give me a ballpark figure of the percent of daily allowance of the vitamins in Body Balance? A. Body Balance is a whole food and the vitamins are naturally occurring in a perfect balance. We do not formulate Body Balance with synthetic vitamins to meet Recommended Dietary Allowance (RDA) levels. As a whole food, the vitamin levels vary from lot to lot. Therefore, we do not list these values on the label. Q. Can you tell me the source of the calcium in OsteoProCare? A. The source of calcium in OsteoProCare is calcium carbonate. Q. Certified Kosher by KSA is on the Body Balance bottle. Who or what is KSA? A. The KSA is the Kosher Supervision of America organization. It is considered the largest, recognized and accepted Orthodox kosher certification agency based in the Western United States. Q. Do you have a patent on Body Balance? A. We do not have a patent on Body Balance. The product is protected by a proprietary trade secret formula developed by Wayne Hillman and sold exclusively by Life Force International. Q. Do you perform third-party testing on each batch of Life Force products for verification? A. Yes, we do conduct necessary third-party testing appropriate to each Life Force product. Q. Does Body Balance have preservatives in it? A. Yes, liquid Body Balance does contain preservatives. As the product is cold-processed, the preservatives are necessary to ensure the integrity of the ingredients. Also, there are many servings in a single quart bottle and in order to keep it fresh after opening it is necessary to include preservatives. Some people experience sensitivity to certain preservatives. However, Body Balance Singles To Go, which is a powdered version of the Body Balance, is packed as individual servings, so we have been able to eliminate the preservatives in the powdered form. Q. Does the harvesting of the sea vegetables harm the ocean? A. The sea vegetables found in SeaNine™ are harvested exclusively for Life Force in a way which does not harm our oceans or the environment in any way. Q. Have there been any research studies done on Body Balance? A. We have not performed clinical trials on Body Balance, per se, therefore there are no research studies done on the product itself. However, Aloe vera has been used to benefit mankind since Biblical times. Body Balance has a long history with millions of satisfied Customers. We have a list of outside references on our website that might be of interest regarding both the Aloe vera and sea vegetables. Q. Have you found that Body Balance interferes with any medications? A. We have not received any reports of Body Balance interfering with other drugs. However, we always recommend talking to your healthcare provider before trying any dietary supplement. Q. How does the black currant (cassis) berry enhance the effectiveness of the other ingredients in Vitali-C Plus? A. Black currant, specifically the anthocyanins found in black currants, promote general health while also improving a lengthy list of health ailments and conditions. One of the specific benefits of cassis anthocyanins is that it improves circulation throughout the body, along with increasing blood flow through blood vessels. The main way that black currant anthocyanins can enhance the effectiveness of other ingredients. It has the ability to push the health promoting components of the other ingredients through the blood vessels more effectively, allowing them to reach their destination more quickly and to be used when they are most effective. Q. How is Body Balance made? A. Body Balance is a proprietary formula developed by Wayne Hillman in the early 1980's. He is truly a pioneer in the industry. The Aloe vera used in Body Balance is grown especially for Life Force International, and is of the highest quality. It is grown and processed to USDA National Organic Program standards and certified by Quality Assurance International (QAI). It is Kosher certified by KSA. The aloe juice is taken from the inner leaf of the fillet only, and done so within hours of harvest to retain freshness and the integrity of the nutrients. The SeaNine™ is our exclusive proprietary blend of nine varieties of sea vegetables, including the full spectrum of red, brown, and green sea vegetables. Body Balance is packaged here in our facility, where it is cold-filled to further protect the product's integrity, as heating could destroy valuable nutrients. Q. How much sugar, in general, is put into each quart of Body Balance in the form of honey/cherry to help with the taste? A. The amount of all combined sweeteners in Body Balance is less than four percent per serving or approximately 2.0 g of honey, stevia, and cherry flavors are added to the product. No sugar is added. Q. I am allergic to Pinecone Pollen. Should I be concerned with the Pinecone Extract in Vitali-C Plus? A. Pinecone pollen comes from the male pinecone which doesn’t look like a pinecone at all. What most of us call pinecones are the female pinecones. Once pollinated by wind, female pinecones become the receptacles of the seed. It takes years after pollination for the seeds to mature, so it is highly unlikely that there is any pollen residue on the mature pinecones. Pinecone extract used in Vitali-C Plus is a water-soluble extract from clean, mature female pinecones. The water-extraction process removes anything except for lignin-polysaccharides, which are the active molecules. There is no pine pollen, oil, needles or any other ingredients that could cause allergy. Those with allergies to pinecone pollen should not have any issues when taking Vitali-C Plus, however it is advisable to check with your allergist or physician to confirm. Q. I am using the drug ______________, can I use the Life Force product _____________ with this drug? A. Product data sheets are available on the Life Force website, at www.lifeforce.net. Print these out and discuss the information with your physician or healthcare provider. Life Force products are not intended to diagnose, treat, cure or prevent any disease. Q. I have _____________ disease/condition. What Life Force product would be best for me to use? A. Life Force products provide nutritional support. They are not treatments or cures for any disease. In a great number of instances, we have found that when people who have an illness improve their nutrition, their bodies have gotten the right armament to also improve themselves. Life Force International products are not intended to treat, cure, or prevent any diseases. We are in the business of providing nutritional support products, and therefore do not provide answers to questions that relate to any medical condition. The information that we provide is for educational purposes. If someone is experiencing any health complications, it is their responsibility to seek the advice of a licensed healthcare professional. We provide complete whole-food-based products and balanced nutritional supplements. We have supportive documentation as well as references, which have been gathered from various studies conducted on many of the individual ingredients in our products. Q. Is Body Balance safe for infants? A. Body Balance contains honey which is not safe for babies under one year of age. Q. Is the Aloe in Body Balance organic and where do you harvest it from? A. Our Aloe is fresh and of the highest quality. Our supplier is the largest Aloe supplier in the world. They grow, harvest and process their own Aloe. The time from field to processing is one day. Each leaf is harvested by hand and must be nicked and pulled carefully from the mother plant so as not to break the rind. Properly taken, the leaves will naturally seal themselves within a short period and the inside gel will not be exposed to oxidation or contamination. The processing plants are close to the fields. This is important because with a short ride to the processing plants the leaves will be fresher and will suffer far less bruises and other damage that can occur in transporting. Some companies spend several days getting their leaves to the processing plant while our leaves are processed within a day. When the Aloe is harvested, it is carefully preserved, saving the natural characteristics of the Aloe. Special equipment is used to ensure that the Aloe retains as much of its natural polysaccharide profile as possible. It is then shipped to our manufacturing plant, where we keep no more than two to four weeks inventory of finished Body Balance. 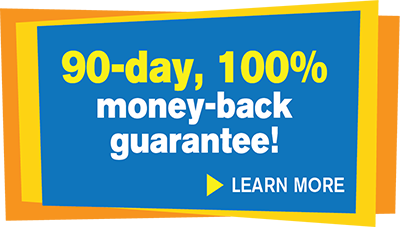 Life Force is committed to supplying the highest quality products to our members and customers and our products are supported by a money-back guarantee. Q. Is the source of whey in AminoCharge from cow's milk? A. The whey in AminoCharge is derived from cow (bovine) sources. Specifically, we use isolated whey protein, which is the highest quality protein available. The protein component is approximately 90 percent with the remainder being water, mineral ash and fat. This protein is highly bioavailable and adds to the great taste of the product. The isolated whey protein is also non-GMO. Q. Is there any need to take extra vitamins or minerals when taking Body Balance? A. Body Balance is not designed to replace a full-spectrum vitamin or mineral supplement. Body Balance is a whole-food product and we do not add any synthetic vitamins or minerals. The nutrients in Body Balance are in their natural state and are often in trace amounts. Q. Should I use Body Balance as a daily multivitamin and mineral supplement? A. No, please do not view Body Balance as a daily multivitamin and mineral supplement. The levels of these nutrients are relatively low and vary from lot to lot. Body Balance is not a synthetically formulated vitamin and mineral supplement, rather, a product rich with phytonutrients and major, trace and ultratrace minerals. Q. What are electrolytes and does Body Balance contain them? A. Electrolytes are minerals that dissociate in water to form ions (charged particles like sodium, Na+) Yes, Body Balance contains a complete profile of electrolytes at the following concentrations (amounts may vary slightly per batch). Sodium (Na): 4.5 mg/30 ml serving; potassium (K): 82.5 mg/30 ml serving; chloride (Cl): 1.0 mg/30 ml serving; magnesium (Mg): 6.4 mg/30 ml serving; calcium (Ca): 6.2 mg/30 ml serving. Q. What are the benefits of pinecone extract? What makes it an immune defender? A. Studies show that a highly concentrated extract derived from pinecones called PPC (polyphenylpropenoid- polysaccharide complex) acts to bolster the immune system by promoting dendritic cell development. This is important because mature dendritic cells stimulate super-fighter T-cells which your body uses to protect the immune system by responding to bacteria and foreign invaders. Q. What are the benefits of the black currant (cassis) berry? A. Used for centuries by the Japanese as an herbal remedy, black currant (cassis) berries have long been recognized as being one of the most health-promoting fruits in the world. Locked inside this super fruit are health-promoting components including anthocyanins, antioxidants, and essential fatty acids omega-3 and omega-6. Black currant berries are also packed with vitamin Bs, vitamin C, vitamin A, calcium, magnesium, beta carotene, dietary fiber, and tons of other helpful vitamins and nutrients! Q. What are the Latin names and the common names for the sea vegetables in Seanine™? A. The Latin and common names in the SeaNine™ proprietary blend are as follows: Palmaria palmate, Dulse; Fucus vesiculosus, Bladder wrack; Chondrus crispus, Irish moss; Ascophyllum nodosum, Norwegian kelp; Laminaria digitata, Kombu; Porpyra yezoensis, Nori; Ulva lactuca, Sea lettuce; Alaria esculenta, Winged kelp; Gigartina chamissoi, Gigartina. Q. What are the number and types of probiotics in trueGreens? A. TrueGreens contains the probiotics Lactobacillus Acidophilus and Bifidobacterium Bifidum. Viable bacteria present are approximately 140 million organisms per serving at the time of manufacturing. TrueGreens also contains many digestive enzymes from plant sources to aid in healthy digestion and to support GI health, including bromelain, lipase, amylase, papaya and pineapple. Q. What do I do if my product arrives paneled along one side or the bottle is swollen on the bottom? A. On rare occasions, the 32 ounce product bottles panel along the side or swell at the bottom. Paneling and swelling are both caused by a pressure difference between the inside and the outside of the bottle. If the pressure inside the bottle is lower than the pressure outside you get paneling (a vertical indentation on the side of the bottle). If the pressure on the outside of the bottle is lower than on the inside you get swelling (a slight rounding of the bottom of the bottle). If you receive a product that is paneled or swollen, simply let it thaw out at room temperature before opening the bottle. Once the product is thawed, follow the label directions for storing and usage. In addition, we would like to assure you that the nutritional quality and effectiveness is not affected in any way by the temporary freezing or occasional bottle paneling or swelling that may occur during shipments in extremely low temperatures. Q. What is BPA and are our bottles made with it? A. Bisphenol A (BPA) is a potentially harmful compound found in many plastics. Life Force bottles are BPA-free. Q. What is Life Force's Quality Control process? Life Force chooses to use only non-GMO (non-Genetically Modified Organism) ingredients. All raw materials are purchased from pre-qualified vendors and ordered to meet the specifications for our proprietary product formulas. Incoming raw materials are required to be accompanied by a Certificate of Analysis (COA) detailing the potency and quality testing performed by the raw material manufacturer. Upon arrival, the raw material packaging and the delivery truck are inspected prior to the material shipment being accepted. Once received, the raw material is placed in Quarantine and lot numbers are recorded for each ingredient in order to allow for traceability throughout the manufacturing process. We then begin our four part in-house testing. This includes (1) organoleptic (appearance, aroma, taste), (2) analytical, (3) microbiological, and (4) identification testing. If the raw material meets our specifications in all four testing areas, it is then released from Quarantine and placed into the raw material inventory. The raw material may then be used in the production of a finished product. After ingredients are weighed and the lot numbers are recorded, the finished product is batched and blended in the mixing tank. We then perform organoleptic and analytical testing on the batch before bottling. Only product that meets specifications may be bottled. During the bottling process, representative samples are collected for additional organoleptic and analytical testing. If the product again passes, it is placed into finished product Quarantine. Retained samples are also taken as an historical representation of the batch and kept for one (1) year beyond the shelf-life of the product. Once in finished product Quarantine, we begin the in-house microbiological testing, and send the product out for third party testing. Lastly, a final identification test is performed. When the product has met every specification, it is then released and made available for shipment to our Members and Customers. Life Force pays close attention to supply and demand for the products. Producing our products in house allows Life Force flexibility in the supply -- when we need more product, we make more. By producing only the amount needed, the product does not sit on a shelf waiting to be shipped and we are able to ensure the freshness of the ingredients. Q. What is Quercetin and why is it in Vitali-C Plus? A. Quercetin is a bioflavonoid that is found in many fruits and vegetables particularly in the skins. It has antioxidant properties that support the immune system through anti-inflammatory and anti-allergy properties. Q. What is the amount of each ingredient in Body Balance®? A. We do not quantify the specific nutrients in Body Balance. As the Aloe vera and SeaNine™ sea vegetable blend are whole foods, with nothing added or removed, there may be some slight variations in each batch. For a listing of the nutrients found in Body Balance, please refer to the product data sheet found in the Products section of our website at www.lifeforce.net. We guarantee that those trace nutrients are in Body Balance; in their naturally occurring state. Q. What is the carbohydrate count in Body Balance? A. The total carbohydrate per serving (1 fl oz) is 1.5 g, or 3 g per 2 oz serving. Total carbohydrate on the label refers to both COMPLEX and SIMPLE. The 0.75 g SIMPLE sugar comes from the honey and black cherry. The other 0.75 g of COMPLEX comes from the Aloe vera and sea vegetation. Together they form the total amount. Q. What is the difference between the Aloe vera used in liquid Body Balance and the Aloe used in the powdered formula? A. Just as with our liquid Body Balance formula, the Aloe vera used in the powdered formula uses only the potent inner leaf fillet. Beginning with freshly harvested leaves, the inner gel (fillet) is carefully removed to minimize disruption of the Aloin layer and further processed to remove the pulp and fiber. This gel is then concentrated utilizing cold-temperature evaporation to produce a liquid concentrate ready for spray drying. Finally, the non-preserved gel concentrate is spray dried, guaranteeing the presence of polysaccharides and leaving the natural balance of rich nutrients undisturbed. Q. What is the Not-For-Resale program and how does it work? A. Vitali-C Plus is available to Members and Customers in Australia and New Zealand on a personal consumption, not-for-resale basis only. This means that the products are for the personal use of the importer or their immediate family. The products are not for resale, so they cannot be sold to any other person. An importer is allowed to purchase a maximum of a three (3) month supply at one time and no more than five (5) imports per year, resulting in a maximum purchase of fifteen (15) months supply of product in any twelve (12) month rolling period. Products may not be placed on an Autoship order. However if a Member or Customer already has an Autoship order in place, Vitali-C Plus may be purchased at the Autoship price. Vitali-C Plus must be ordered by calling the U.S. Customer Service Department at 858-218-3200 or by contacting lifeforce@lifeforce.net. Vitali-C Plus orders ship from the U.S. and take approximately 5-7 days for delivery. Orders for Vitali-C Plus may not be combined with any other product or sales aid order. Q. What is the quality of ingredients in your products? A. Searching for the best quality ingredients involves many vendors and an evaluation of each individual ingredient prior to use in our products. This is also a long-term process of extensive sourcing and testing. Our vendors and their detailed processing steps of ingredients we use are Life Force International's confidential information. This confidential information is only available to a few individuals in our company as well as to government agencies for inspection purposes. We are also bound with confidentiality agreements with our suppliers. Be assured that the ingredients we use are the best we can possibly source. Q. What part of the Aloe vera is used in Body Balance? A. The Aloe vera used in Body Balance is of the highest quality and is from the inner leaf of the fillet only. Q. Which ingredients would be considered the antioxidants in trueGreens? A. TrueGreens is a whole-food supplement and contains antioxidants naturally found in blueberries, grape seed extract and bilberries. Q. Which Life Force products are vegan and which are not? A. The Life Force products that are vegan (no animal, dairy or egg products) are Vitali-C Plus, Herbal Body Wrap, and TrueGreens. The Life Force products that are not vegan are Body Balance (due to the honey), OsteoProCare, AminoCharge and BENew Protein Shakes. Q. Which Life Force products contain lactose? A. Lactose is a sugar found in dairy products. None of the Life Force products contain lactose. Q. Why are New Zealand black currants superior to those grown elsewhere? A. Life Force has carefully chosen the origin of the black currant used in its product in order to optimize health benefits, flavor and color. Grown in an ideal climate in New Zealand, our black currant benefits from the country’s pure mountain waters and uncontaminated, fertile soils. New Zealand Black Currant scores more than twice as high as blueberries, and six times higher than red grapes in ORAC testing; evidence of the magnificent antioxidant properties of the black currant grown in this region. Q. Why aren't grams, milligrams and micrograms listed on the label for each ingredient in the products? A. Life Force is committed to protecting the proprietary formulas for each product. For this reason you will not see the amount of every ingredient within a product included on the label. By preserving these formulas, we can guarantee the integrity of each product you order. As a distributor, you benefit from the protection of proprietary information by being able to offer a product that cannot be duplicated by any other company, thus increasing its value to the people with whom you share the products. Q. Why do I need to take both Vitali-C Plus and Body Balance everyday? A. Body Balance provides you with a solid, nutritional foundation. Taken every day, it provides necessary trace minerals and nutrients that you are likely not receiving from food alone due to the depletion of our soils. Vitali-C Plus is designed as daily, targeted immune nutrition. Vitali-C Plus’ ingredients were specifically selected and combined in amounts to strengthen your immune system and improve your immune response when the body is attacked by the pathogens you come into contact with everyday. So, Body Balance supports daily nutrition for your entire body and Vitali-C Plus specifically targets and strengthens your immune system. Q. Why is citric acid in Body Balance, and is it made from fruits or some other way? A. Citric acid is used in Body Balance primarily as an acidifier (produces an acid environment for the performance of the preservatives). The citric acid is derived by fermentation. We use a powder form that completely dissolves in water. It is the highest food grade we can purchase and meets the strict specifications of the United States Pharmacopoeia (USP), Food Chemical Codex (FCC) and is certified Kosher.